Study in sunny subtropical Brisbane, Australia, within the new ARC Centre of Excellence for Engineered Quantum Systems (EQuS – official website) at the University of Queensland – ranked in the top 100 institutions internationally. We have a vacancy for a promising domestic or international student for a new experimental project, utilizing ultracold atoms for quantum simulation. By lowering the temperature of an ultracold gas of 87Rb and 41K atoms, a novel state of matter known as a Bose-Einstein Condensate (BEC) is produced. These atoms will be then loaded into a configurable optical trap created through the rapid modulation of a tightly focused optical beam. With the ability to address and measure individual atoms in the optical trap, a toolbox for the simulation of magnetic spin systems will be realized. Immediate applications to the understanding of as-yet unexplained quantum magnetic phenomena, and unconventional superfluidity, are the direct goals of this research. The remuneration for this position begins at $25,007 p.a. tax free, and indexed annually. A priority top-up scholarship of $5000 is available for exceptional candidates. Priority will be given to applications received before 15 October 2012, although applications received after this date will be considered. Please note the English language requirements of the University of Queensland graduate school must be met to apply for candidature, as well as certified copies of the relevant documentation. International applicants will also be required to apply for the IPRS and UQI scholarship schemes within the University of Queensland graduate school. 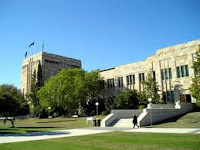 Official transcripts and two letters of recommendation will be required on formal application to the UQ Graduate School.